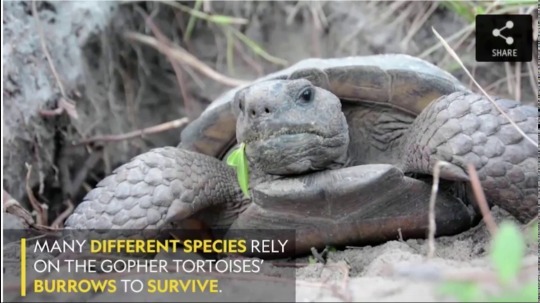 The video above features one of the most outgoing tortoises Hipps’ observes regularly, Gertrude. In the article, she describes Gertrude an alpha female and discusses the social behaviors she and her fellow researchers have observed while studying them. An understanding and respect for Gopher Tortoises, the creatures that depend on them is a must for everyone but especially those who live among them. This year, Sanibel island joined the many cities that celebrate Gopher Tortoise Day, by sharing information and advocating for conservation awareness. And if you’re interested in the research mentioned above? Consider Follow Amanda Hipps (@biophiliamanda) and Bethany Augliere (@BethanyAugliere) on twitter! You’ll learn so much!